We simply take neglect for granted and forget that there are millions of lives trapped behind all that cheap concrete and peeling paint. We forget the sickening misery of freezing apartments in winter and suffocating rooms in summer. We forget the distress of no money to pay bills and the despair of low-income poor health. That is the reason why more than 25 experts from Visegrád countries joined forces at the recent Central and Eastern Energy Efficiency Forum (C4E) to demand immediate and concerted action from their governments. The human cost of poor housing is clear from official statistics. In Slovakia, for example, people pay the highest energy bills per income in the European Union and there are 3,000 premature deaths annually due to air pollution caused by heating with solid fuels1. Those living in unsatisfactory housing conditions suffer from up to 2.9 times more frequent health issues than others in their country2. Across Visegrád, two-thirds of residential buildings need renovating. And for those who consider lives in financial terms — those buildings are costing society up to €11.2 billion in health care every year 3. Yet, Visegrád Governments have an historic opportunity to create housing renovation policies that really deliver. At the C4E, experts from Buildings for the Future in Slovakia, the Hungarian Energy Efficiency Institute, Chance for Buildings in the Czech Republic and Poland’s National Energy Efficiency Agency called on governments to maximise the opportunities for change presented by negotiations surrounding the new multiannual European Union budget and the implementation of revised EU directives promoting energy efficiency. All Member States must transpose the Energy Efficiency Directive and Energy Performance of Buildings Directive and reveal how they will achieve national energy savings targets. Improving buildings to make them energy efficient will accelerate progress to achieve these targets and help the most vulnerable in society. There is a lack of a comprehensive and effective policy framework for buildings across the Visegrád region. An ambitious transposition of the EU’s directives driven by renovation will make an historic difference. Work on this needs to start now. Visegrád countries must work together to leverage their expertise and experience and draft the comprehensive policy frameworks needed to drive renovation and new build quality. The Czech Republic can offer their long-term experience with developing successful subsidy programs, Slovakia could share how 20 years of soft-loans offer helped deliver unprecedented renovation rate of apartment buildings, Hungary would possibly speak about Energy Performance Certificates, while Poland has some unique learnings from trying to break free from air pollution caused by coal firing. The point here is that neither of the Visegrad country has nor can afford staff to address the many facets and complexity of policies related to renovation and construction quality and, therefore, sharing their capacity and experience is a way forward. Renovation is impossible without finance. It is vital that money is unlocked in line with a renovation strategy that is robust enough to show a return on investment through energy savings. And that means regulating quality work, simplifying processes and guaranteeing accountability. There are good examples of directing money into quality renovation. The Czech “New Green Savings” program effectively changes the way single-family homes are renovated. The Slovak Investment Holding shows much more sophisticated and sustainable use of the European Cohesion funding. And there are opportunities: the new Eurostat rules open up renovation of public buildings to private money, while the negotiations of new Partnership Agreements starting in 2019 will define how effectively the Visegrád countries will be able to attract those private funds in the period of 2021 – 2027. Enforcing regulation related to Energy Performance Certificates, simplifying their processes and insisting on publicly accessible energy classes for buildings will force a change for the better and incentivise renovation. Not much money or effort is required to achieve a substantial change here. Making sure that no building receives construction nor occupancy permit without meeting minimum requirements is a change of process at the construction authority. Having 3 % of all issued certificates properly checked every year to put off manipulators requires personnel cost in the range of hundred thousands of EUR; not a sum that would break any state budget and a necessary investment to make certificates work (not to speak: make country actually comply with EU legislation). 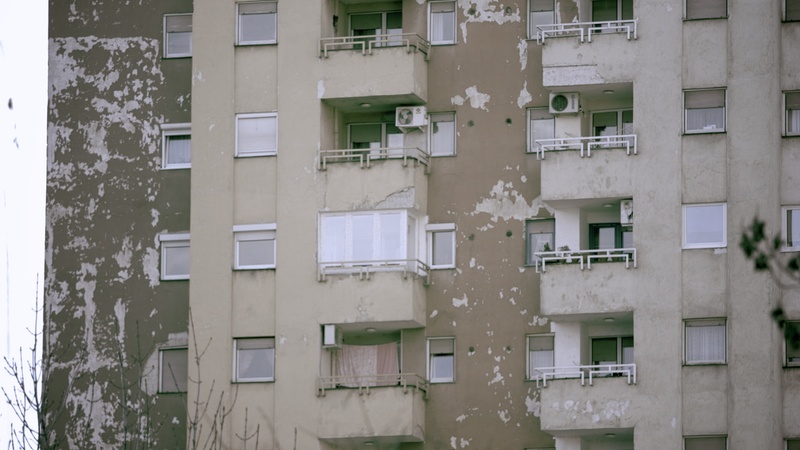 Specific low income housing policies are needed to address the vicious social cycle of low income, disgraceful housing, poor health and miserable job prospects that trap 20% of the Visegrád population for generations. Issues, such as air pollution from solid fuel heating, need to be addressed as a national priority. Social energy tariffs, nor boiler subsidies work – they reduce emissions ever so slightly, if at all, and do not address the housing quality. New approaches must be developed, including one-stop shops for owners, capacity at municipal level to actively work with home-owners and aggregate single projects into bigger groups ready for financing and of course, state-level subsidies. We can no longer afford to ignore the misery of people caged in appalling housing. Every time we pass another collective of blocks must be a reminder that we can do better. Must do better. Together. 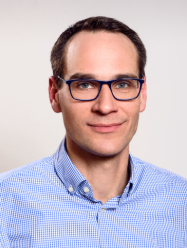 As Public Affairs Manager for Knauf Insulation in Slovakia, Peter Robl advocates for public policies promoting energy efficient and sustainable buildings. Peter initiated the Building for the Future alliance back in 2013 and has since developed it into the leading voice of the construction industry in the public debate, representing more than 150 companies with aggregated Net Sales of EUR 1.7 bn.